I've been arguing again at WUWT. 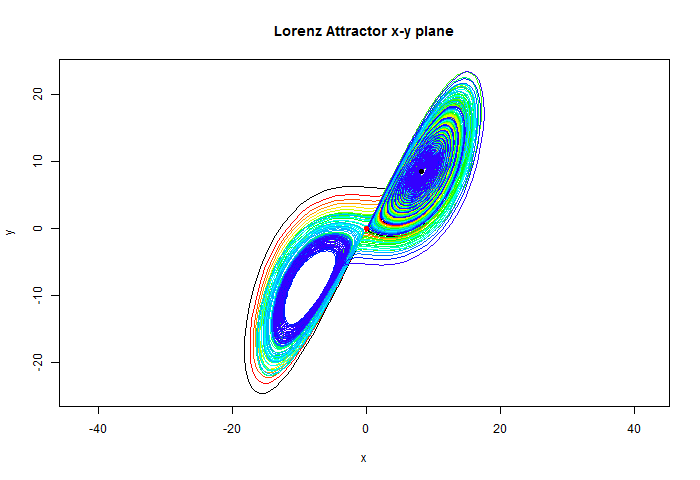 Lord Monckton has been writing a series of articles (see also here, here and here), with more promised, on feedbacks and what he calls the "official equation". Mentioning feedbacks brings out all the engineers talking about feedback and instability. In the course of arguing, I think I see some general confusions arising from inadequate specifications of what circuitry is envisaged, and other general unsoundness. So I thought I could try to clear that up here, and in the process show an actual circuit which would implement the "official equation". The first thing I try to emphasise here is that climate is not a circuit, and feedbacks are not used in GCM's. They are not the basis of climate science; in fact climate scientists talk about them far less than people imagine. Feedbacks are diagnostic tools - inferred from model output (or climate data) to help understanding. And you are free to imagine any kind of circuit or other apparatus that you think helps. That is a starting point - people are not always imagining the same thing, but they use the same vocabulary. 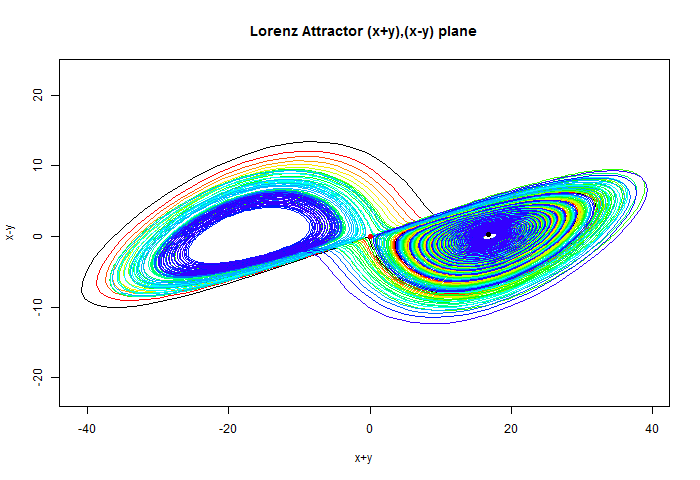 The basic concept here is climate sensitivity (CS). If you add a warming heat flux, usually from greenhouse effect, how much will the temperature rise? To make this more definite, it is often expressed as equilibrium CS (ECS). If you add a flux and then keep it constant, how much will temperature have risen by the time it has settled to steady state? 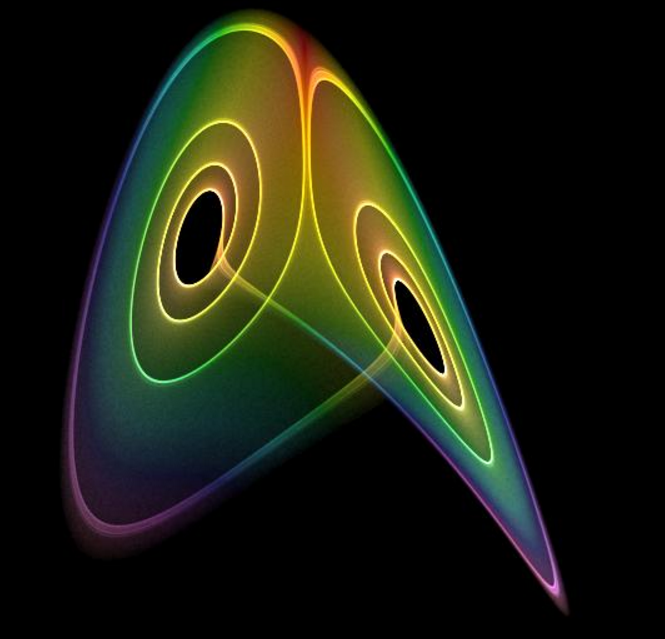 A starting point is what can be called Planck sensitivity. 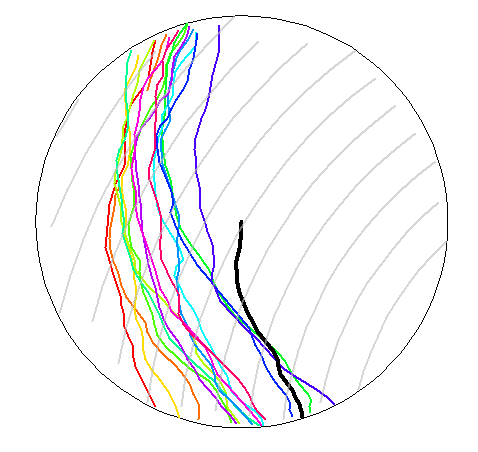 We know from the Stefan-Boltzmann law that a warmer planet will radiate more heat, and that will give a relation between flux and temperature change. 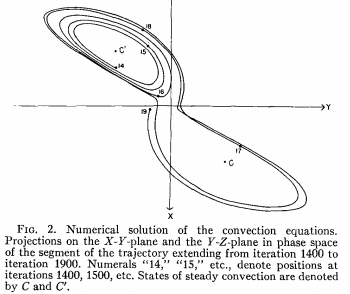 For a black body, flux F=σT4 (S-B, with σ as the S-B constant). I propose to make F analogous to current and T to voltage, so this gives CS = dT/dF = 1/(4σT3) K/(W/m2) This gives it the units of resistance (analogy). With T=255 K, the effective radiating temperature of Earth, that would be 0.26. Earth is not a simple body - the atmosphere has an effect, and GCMs say that the right figure is about 0.31 (Soden and Held, 2006). But ECS is generally reckoned to be a lot higher, because of the effects of positive feedbacks, especially water vapor feedback. Discussions of these are in S&H just cited, or Roe 2009. So then come the claims that positive feedback is necessarily unstable. It isn't, because it in effect adds to the negative Planck feedback. But if it outweighed that (and any other negative feedbacks) then it would be. That is the basis for talk of tipping points and thermal runaway. 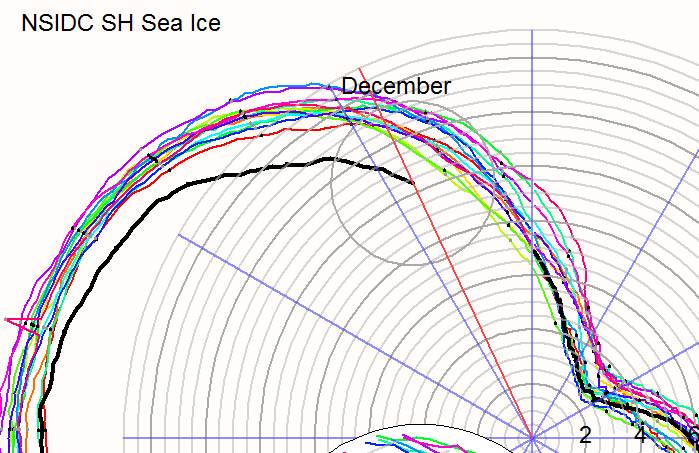 JAXA is an index of Sea Ice extent which is preferred by many, because the observing platform has good resolution and has recently been mostly more reliable than, say, NSIDC. It's the one I present first here. But for about a week it was not reporting, and this was at a late stage of melt and during an Artic cyclone. When it suspended, melting had been sluggish, and 2016 was falling behind 2012, 2007 and 2015. 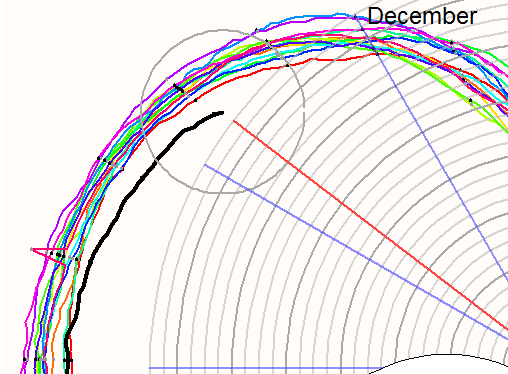 However, during the break melting was higher, and 2016 is now in clear second place, behind 2012. 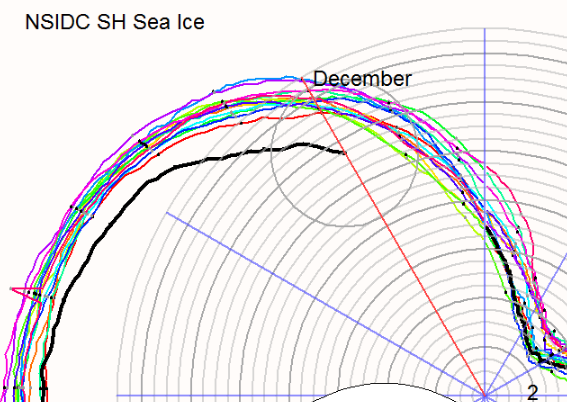 It won't catch 2012, and will struggle to stay with 2007, where melting lasted well into September. However, it is ahead, and is quite likely to stay ahead of 2015, finishing at least third in recent years. Neven's (and forum) is the place to stay in touch. 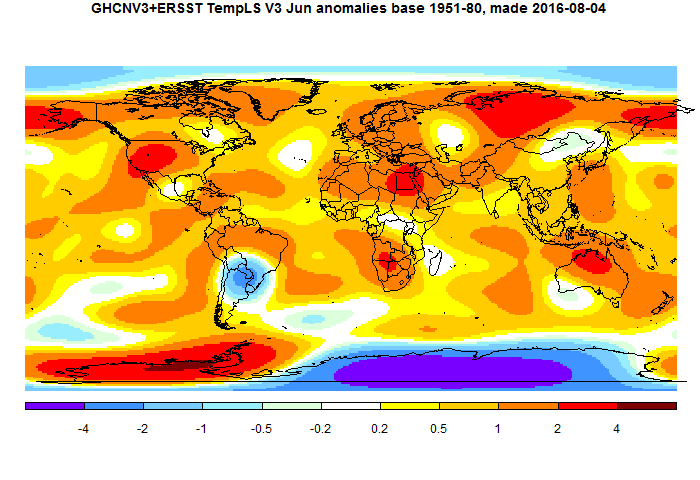 Most global temperature indices are now out for July. The latest is NOAA, which fell slightly from 0.902°C to 0.872°C. This was in contrast to most other indices which rose a little, or at least stayed steady. However, NOAA had risen in the previous month, when many indices went down. For the meaning of the headings, see the glossary here. All the surface measures, land/ocean, land and SST, are clearly projecting a record if the most recent month temperatures are maintained, with a good deal in reserve. The two lower troposphere indices are projecting a record (ahead of 1998), by a very small margin. There was an end year dip in 1998; if this happens in 2016, it may fall just short of 1998. Housekeeping - where to note data glitches. 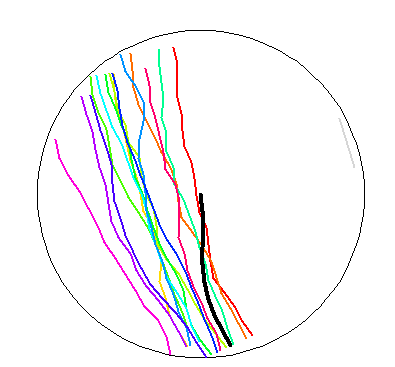 On another subject, while I was away recently, some of the regular data streams failed (for which Walter Dnes helped out, thnaks). This may sometimes happen at other times too, and so there is a question of where is best to comment on this. I have reinstated the comment facility on each of the data pages, and I think this is the most natural place; the comments will appear in the "latest comments" list. I have also amended the title of the top listed page to "Notes, and an index...". The idea is that if you want to note something that is not part of a thread or existing page, this could be the place. A downside here is that comments make pages slower to load. A few short comments won't matter, but it is conceivable that after a long time, I may have to prune the list. If so, I'll try to remove only old comments (on pages) that were relevant to a specific time. 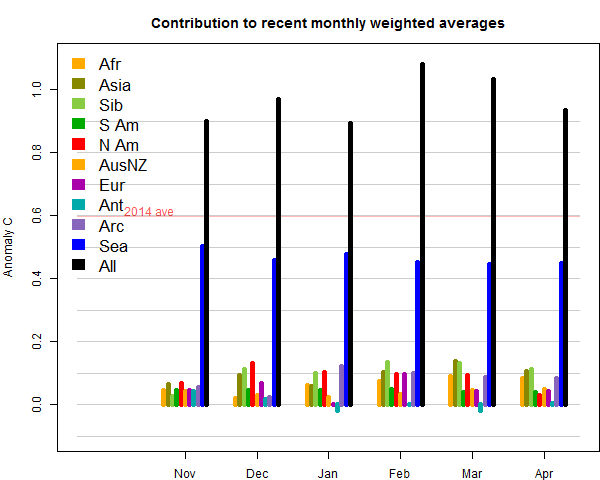 I see again a regrettable tendency to confuse by saying that July was the warmest month ever (eg here, here). 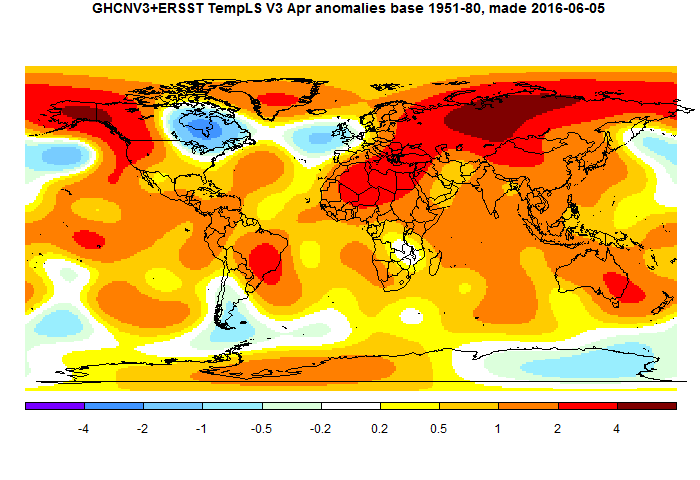 In anomaly terms it wasn't anywhere near the records of early 2016. The basis of this silly statement is that the global absolute temperature has a seasonal cycle. But that has little meaning, unlike anomaly. 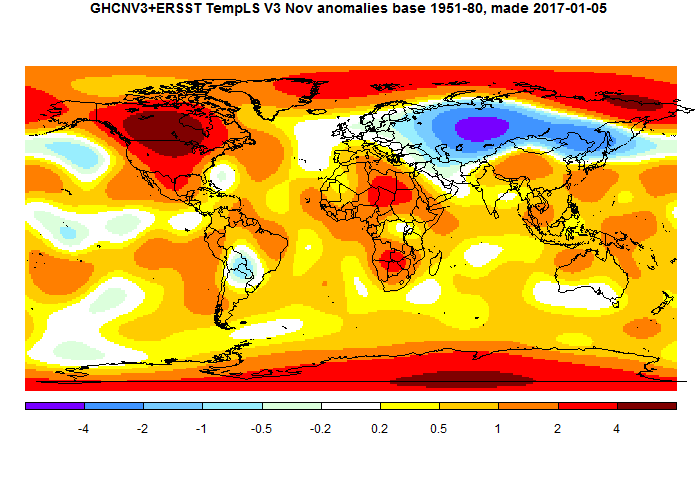 A warm global anomaly means that it is quite likely (but not certain) that wherever you are, you experienced a warmer July that usual. 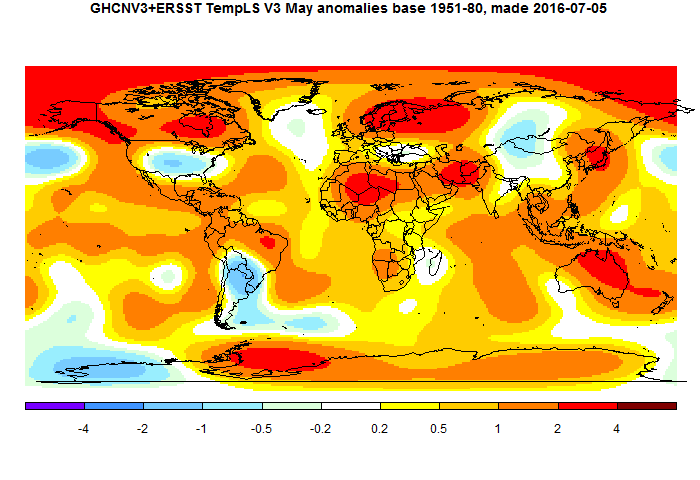 But whther it was a "hottest month" for you depends entirely on your local seasonal cycle. Where I am, it is mid winter. In the tropics, goodness knows. Even in the NH, in many places July is not seasonally the hottest. 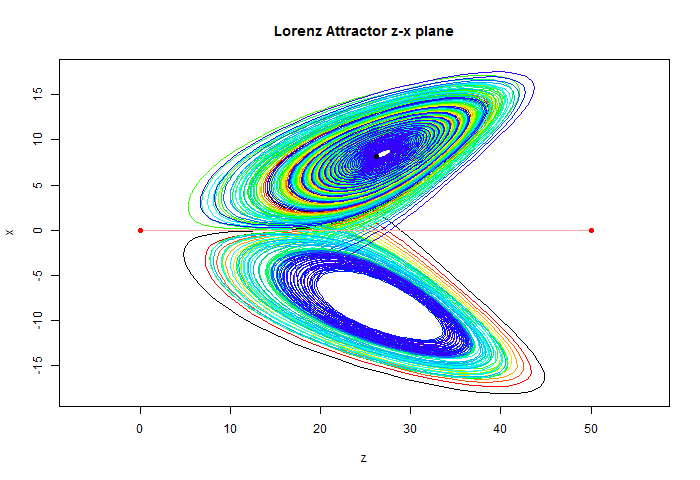 There is a good reason for focussing on anomalies, and it should not be muddied. 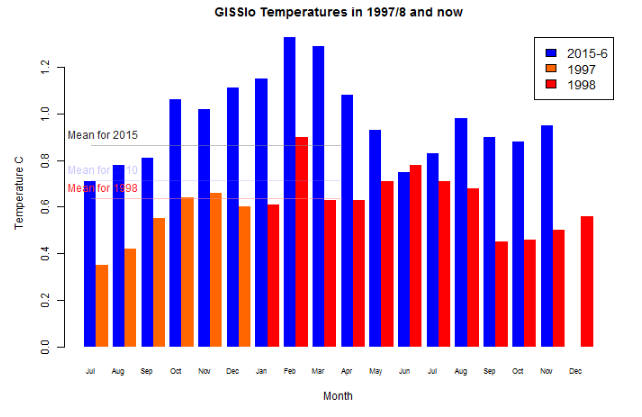 GISS is up from 0.79°C in June to 0.84°C in July. This compares with a small fall of 0.02° in TempLS, and is very close to the posted, 0.045°C rise in the NCEP/NCAR index. 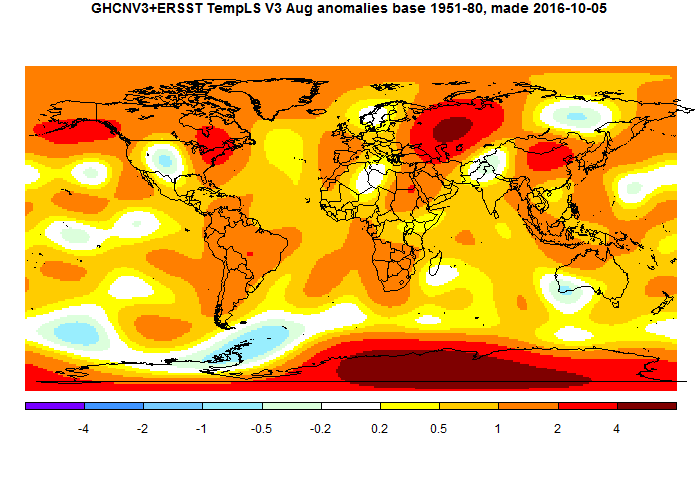 It is also the warmest July in the record (next was 0.74°C in 2011). The increase matches the 0.05°C rise in the UAH V6 lower troposphere, while RSS was unchanged. I'll show the map comparisons below the fold. 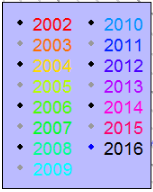 The updated comparison plots with 1998 are here. Since all months so far in 2016 have been individual records, many by a large margin, a record 2016 is looking very likely. The July report is late because I have been away. But the automated reporting continued, and I'll just note some of that here. TempLS mesh was down from 0.688°C in June to 0.667°C in July (base 1961-90). 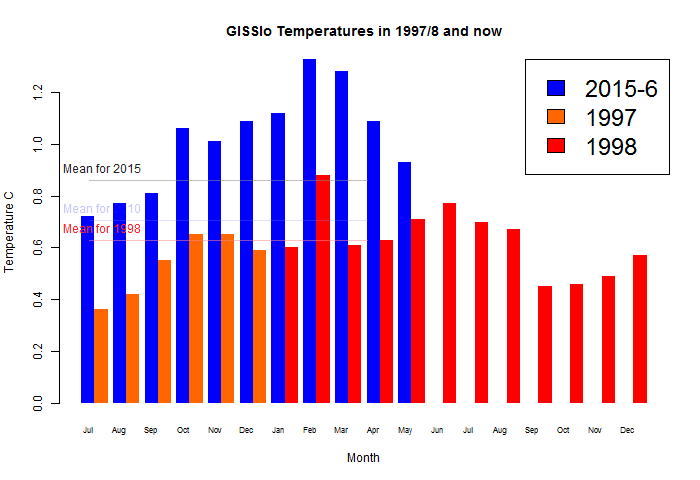 This continues the moration of the post El Nino decline. TempLS grid actually rose slightly. 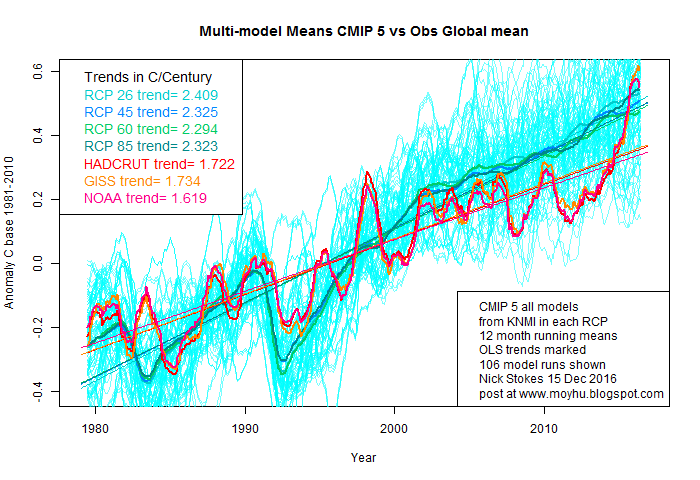 These results are consistent with the NCEP/NCAR index (up 0.04°C). 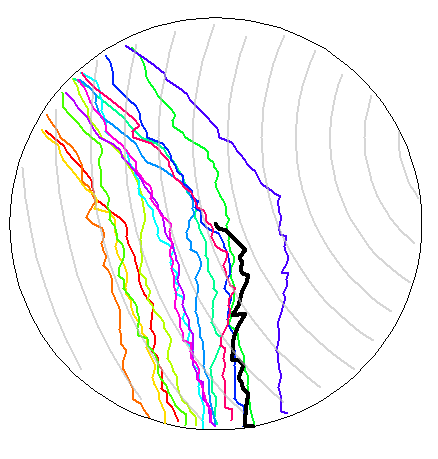 The satellite measures varied; UAH6 Lt was up 0.05°C, but RSS virtually unchanged. The regional temperature variations are similar to those in the NCEP/NCAR report. Nothing spectacular, but warm in N Russia, Brazil. 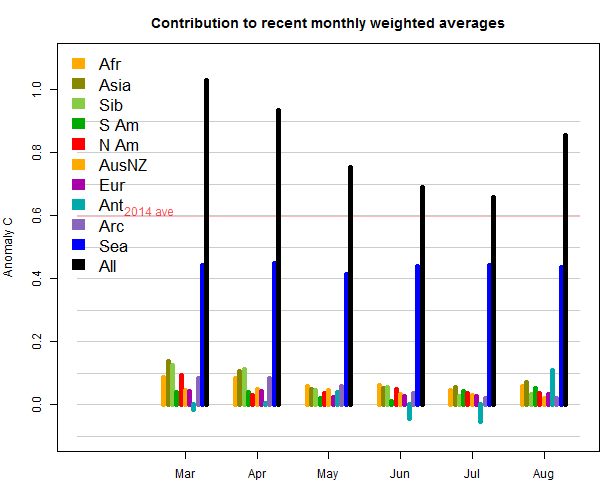 Antarctica was cold, but sea surfaces overall warmer than June. As mentioned, I'm back now, and fixing the issues that stopped various data being posted. The basic problem was that UAH changed its URLs this month. Normally that would just have returned an error, which the system could handle, but here UAH returned a small HTML file pointing to the new address. 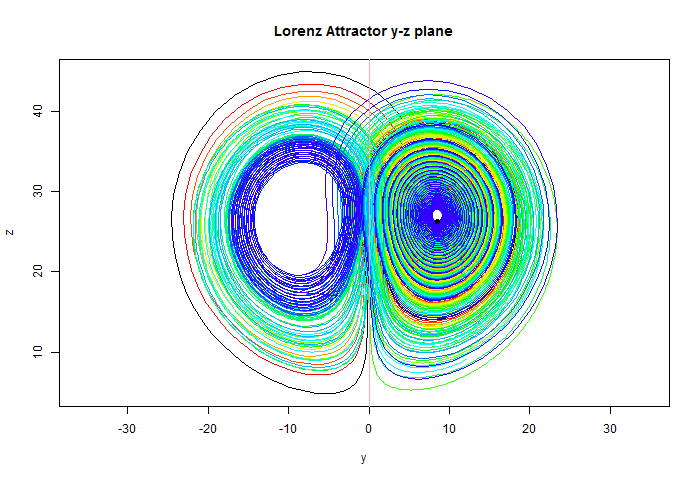 Unfortunately, my system returned that as data, which caused flow-on problems, even stopping my NCEP/NCAR program. My thanks to Walter Dnes, who supplied his own NCEP/NCAR numbers in comments, which filled the gap. I think everything should be fixed now. 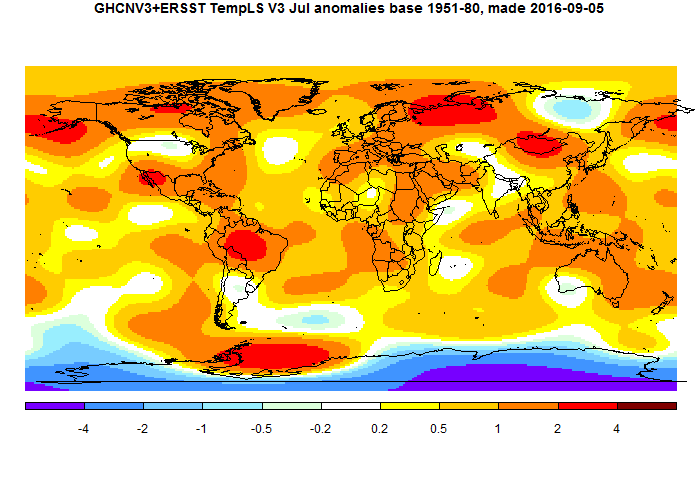 The NCEP/NCAR index increased last month, from 0.369°C in JUn e to 0.414°C in July (anomaly base 1994-2013). Temperatures had been dropping rapidly after El Nino, but the drop in June was not so great, so this increase may signal the end of that. July 2016 is still well above July 2015, and indeed well above mid-2015 levels. There weren't major hot/cold features in July. 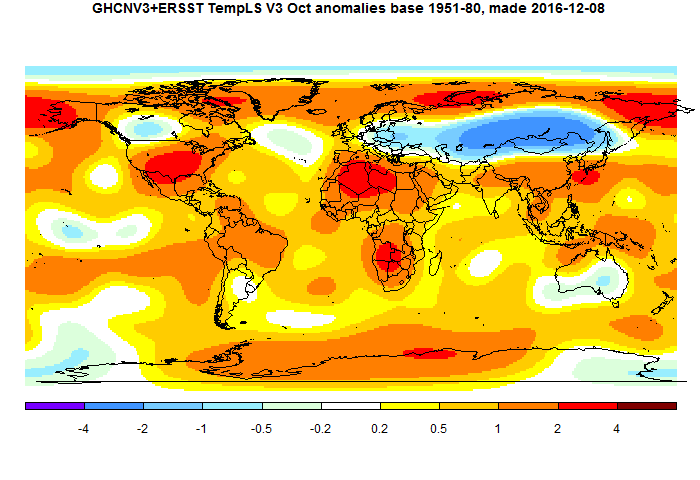 A warm area in N Russia; Antarctica had a mix of hot/cold (maybe more cold). 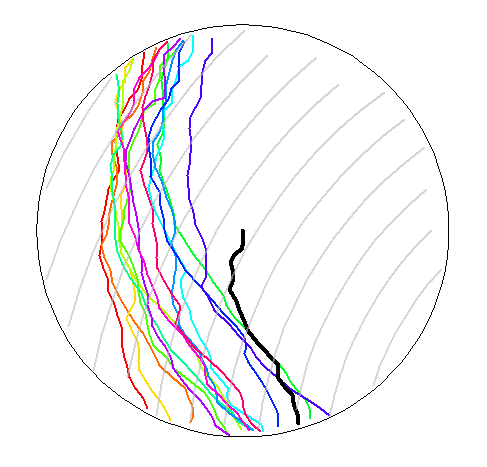 The Pacific has a cool ENSO plume region, but warm on each side. I'll be travelling for a few days, and probably won't post on the TempLS results. However, I hope the automated reports will continue, and TempLS appears here. I should be back in time for GISS.